This report reviews the rationales offered by national governments for including or maintaining certain corporate assets in state ownership. 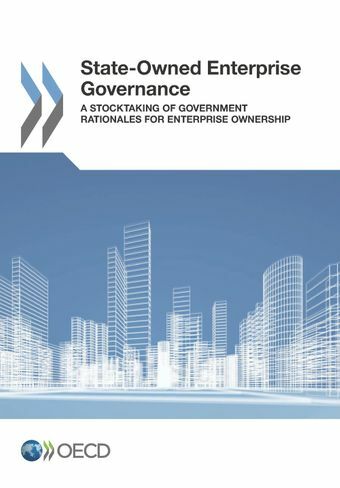 Drawing from responses from 24 countries to a questionnaire based on the OECD Guidelines on Corporate Governance of State-Owned Enterprises (the “Guidelines”), the report aims to provide guidance to authorities seeking to reform or review their ownership policies. It does so, first, by providing provides an inventory of national practices regarding the application of the Guidelines recommendation that governments should develop and issue an ownership policy that defines the overall objectives of state ownership, the state’s role in the corporate governance of state-owned enterprises (SOEs), and how it will implement its ownership policy. Second, the report illustrates how the state enterprise ownership policy is applied in situations where new SOEs are created, or when the state decides to terminate its enterprise ownership. The report was reviewed by the OECD Working Party on State Ownership and Privatisation Practices, which oversees implementation of the Guidelines, and is current as of October 2014.